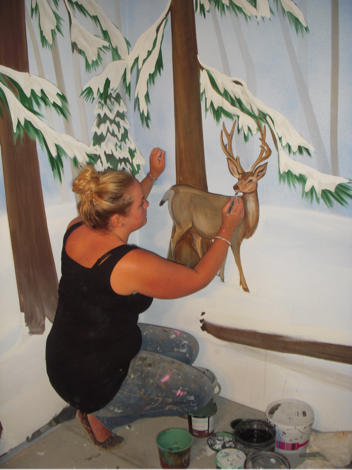 I am a Scenic Artist and prop maker based in Suffolk, I trained in Scenic Art at Rose Bruford College of Theatre and Performance where I graduated in 2010. Since graduating I have painted and made props for wide range of productions from themed parties to world class productions and opening ceremonies. The diversity in my work shows that I am able to adapt to many different working environments, and that I can embrace challenges posed along the way.